“Parents of the Year,” Mr and Mrs Martinez-Diaz, were arrested with 5,750 bags of heroin with their 1-year-old daughter in the car released for FREE after arrest under NJ Bail Reform. 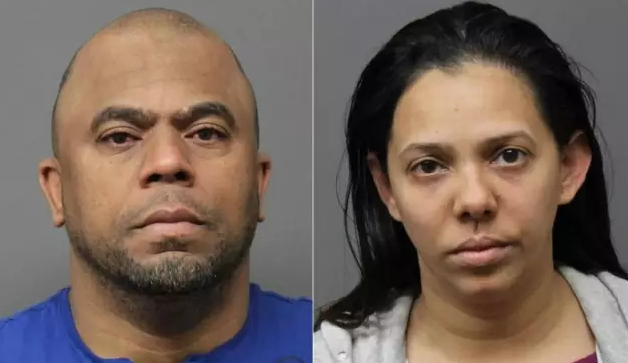 Paramus, NJ – Henry Martinez-Diaz, 41 who works as an Uber driver, and Yanery Martinez-Diaz, 34, were both arrested after a traffic stop uncovered 5,750 bags of heroin and suspected drug money in a secret compartment in their car. The couple was traveling with their 1-year-old daughter in the car. The child was later turned over to the state Division of Child Protection and Permanency. The couple were later released and FREE TO GO under NJ Bail Reform after the Arnold Foundation’s “Pretrial Risk Assessment” tool determined that they were not a danger to the community or a flight risk and therefore should not be subject to any accountable release – just a “promise” to appear. An Uber driver and his wife had their 1-year-old daughter in the car with them when they were stopped in Hackensack with 5,750 bags of heroin stashed in a secret compartment, authorities said Tuesday. Henry Martinez-Diaz, 41, and Yanery Martinez-Diaz, 34, both of Paterson, were stopped on westbound Route 4 on Monday by Narcotics Task Force detectives, Acting Bergen County Prosecutor Dennis Calo said. Along with the heroin found in an electronically operated “trap,” investigators seized $1,021 in suspected drug proceeds, he said. A judge on Wednesday released the Martinez-Diazes, with conditions, pending further court action on drug possession and child endangerment charges.